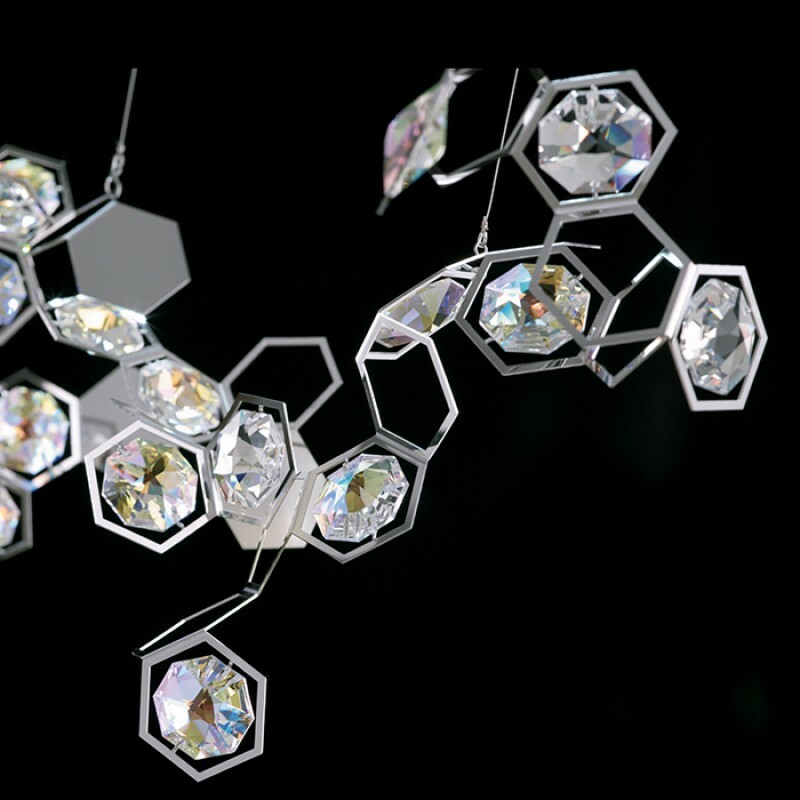 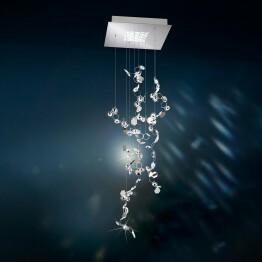 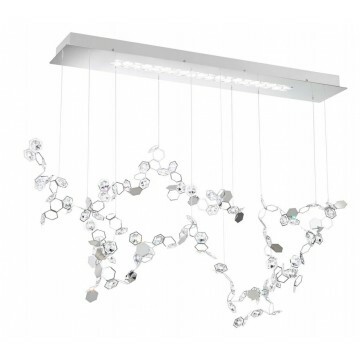 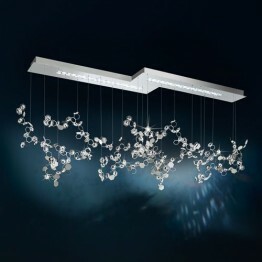 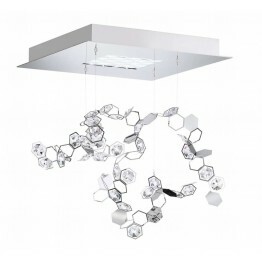 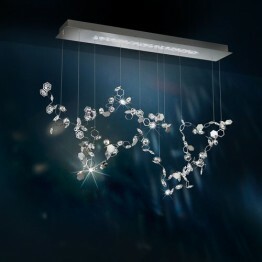 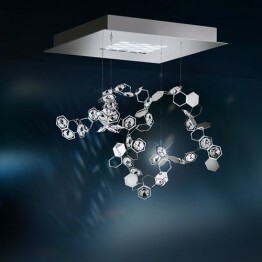 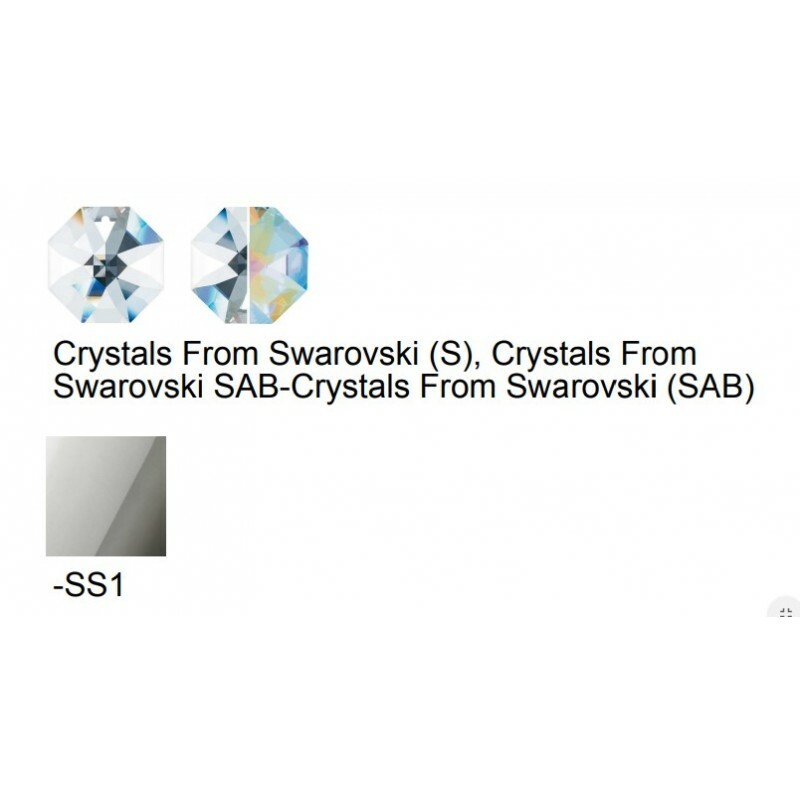 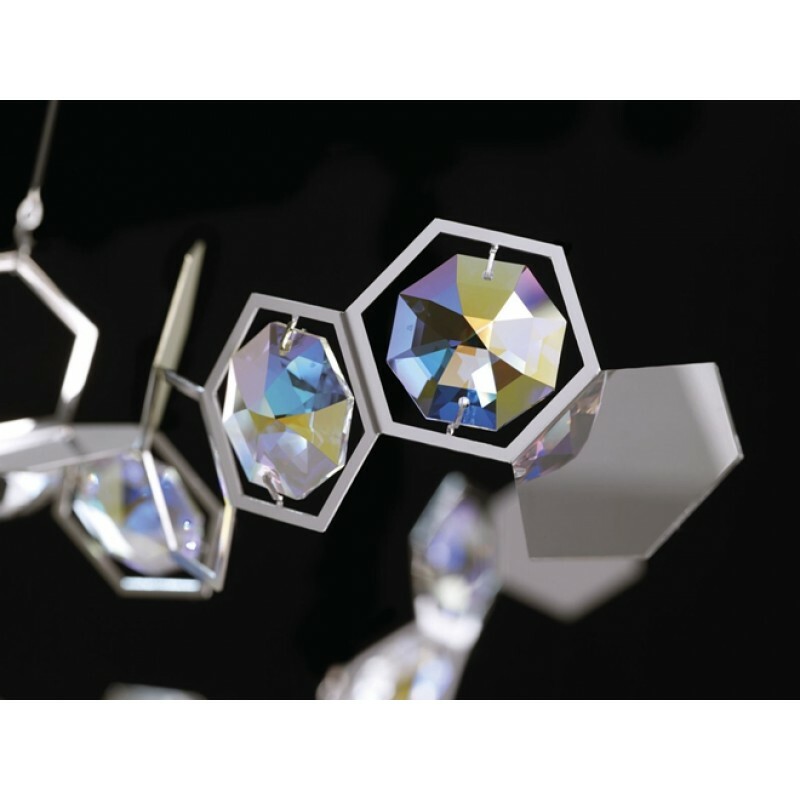 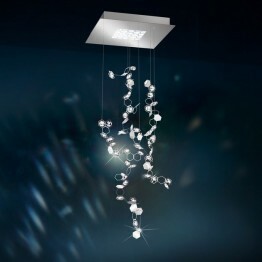 Fluttering crystal constellations hang from a geometric ceiling base and lighten onlookersâ moods. 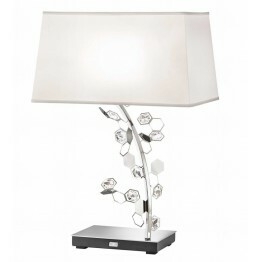 Divine when placed adjacent to calming hues such as slate greys, navy blues and lavenders. 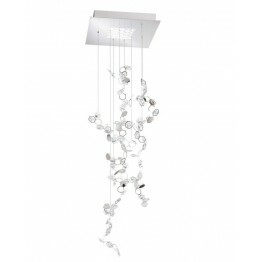 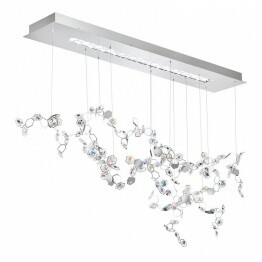 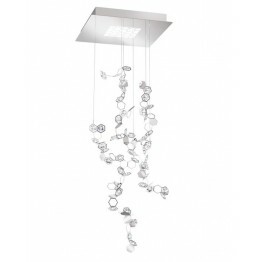 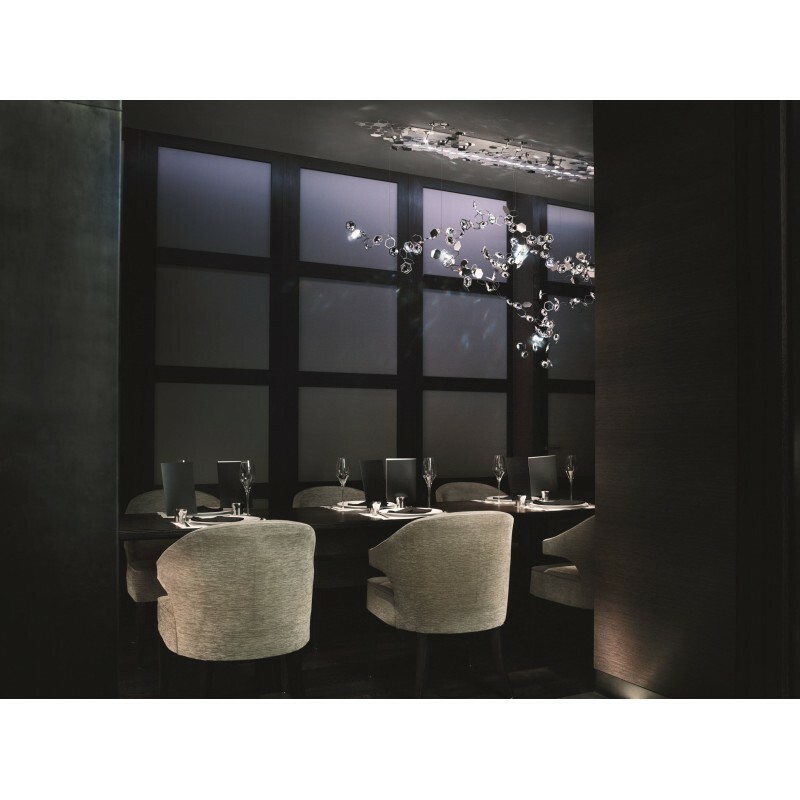 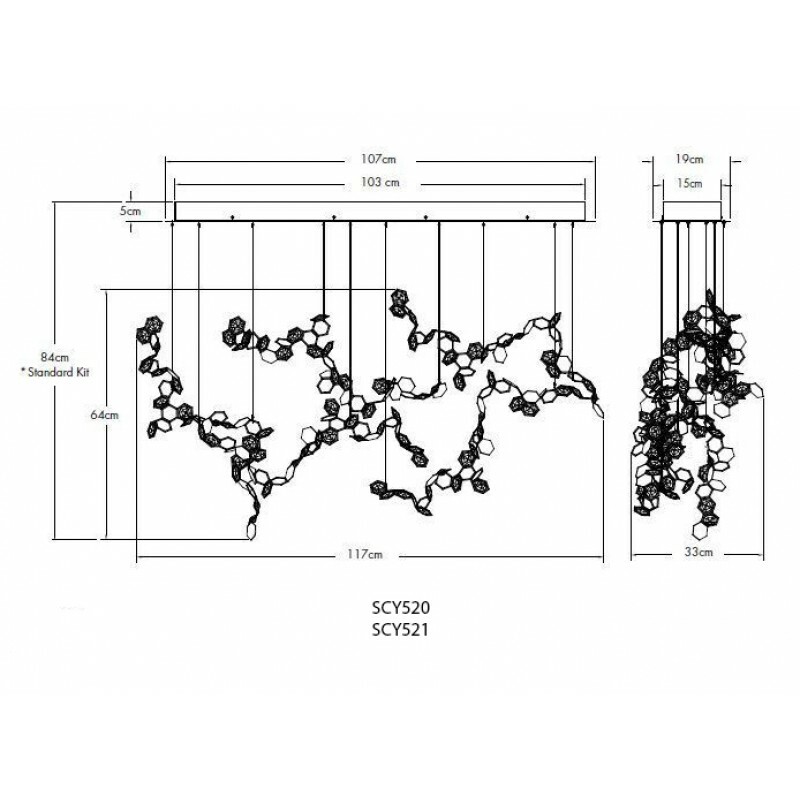 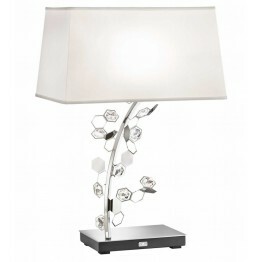 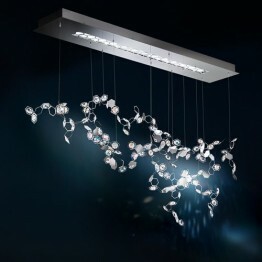 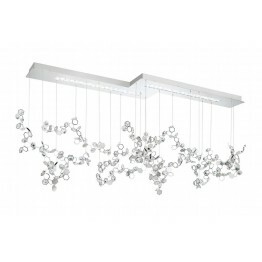 This light is also configured to complement rooms stoked with artistry. 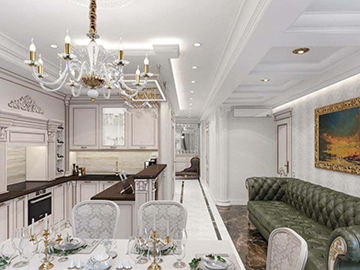 Masters of expression know the beauty of avant-garde flourishes and how to blend artisan know how with a sense of certain beauty.